The Gaither website just sent an email with a clip of the group with the new additions of Adam Crabb and Todd Suttles in the studio. The group has re-recorded “Give It Away,” and you can hear it here. The website mentions here that David Phelps did the arranging, and the perhaps the most interesting part is the fact that it sounds like Todd Suttles is taking the bass part, including a standout near the end. It’s hard to tell, but that may have Bill in the baritone slot, at least for this song. This is unprecedented for the five-man iterations of the GVB. Bill was the full-time baritone in the group’s early days, singing over Lee Young and later Jon Mohr, but he has been the group’s bass for most of its career. There were several observations around the Internet that Todd Suttles had a lower speaking voice than Bill, but the fact that something like this is happening in the music, even on a part-time basis, makes this chapter of the group unique. Will we see more of this as this lineup expands its repertoire? Only time will tell, but I wouldn’t be opposed. If they were going to make a name for themselves apart from the “all-star” lineup with English and Lowry, a move like this is the way to do it. Update: Interestingly enough, I’ve found a live clip of this song. We are thrilled to welcome Adam Crabb aboard as the newest member of The Gaither Vocal Band! Adam comes to us with years of musical expertise, including on-stage and studio work as a member of award-winning Crabb Family, and as a solo artist and worship leader. Talk started late last week that there may be changes for the GVB when it was noted that Mark Lowry was not listed on the roster for concerts in Spring 2014. This morning, Lowry posted a video announcing that he is departing the group, citing the reason as being a desire to slow down and focus on solo dates more. He says a press release will be sent out today and that he will remain with the group through the rest of this year, and will still appear at events like Family Fest. Nearly five years ago, when Bill Gaither created an all-star version of the Gaither Vocal Band, the returning GVB members were managing solo careers and added the Gaither Vocal Band’s tour dates, video tapings and recordings to their existing schedules. Now, after trying to manage both solo careers and Gaither Vocal Band responsibilities, Mark Lowry and Michael English are ready for a new season of life that is not so demanding. Mark Lowry will fulfill his Gaither Vocal Band concert commitments through the end of 2013. Michael English has already concluded his last regular Gaither Vocal Band concert as the lead singer, but we look forward to having him join us for Gaither Fest in Myrtle Beach and other future events. We have confirmed Mark Lowry for the 2014 Caribbean Cruise and Family Fest 2014. Besides those two events, if you want to hear the Gaither Vocal Band with Mark Lowry singing baritone, the concerts remaining in 2013 will be your last opportunity! Check www.gaither.com for upcoming tour dates and ticket information. Check Michael’s website,www.michaelenglishmusic.com, for solo concerts in a city near you. And check for Mark Lowry’s solo dates at www.marklowry.com. At this point, the future personnel of the GVB is anyone’s guess. While this chapter of the group’s history is drawing to a close, the “all-star five-man group” was an awesome period that I’m glad to have witnessed. Want everyone to know I appreciate all your love and support over the years. The last 5 years with the GVB have been very enjoyable for me and I will miss the guys. Like Mark this was a very difficult decision but one I feel at peace with. I will be enjoying more time off and able to pursue other opportunities. It will be a new day for Michael English but one I am very excited about. Hope to see many of you at solo shows in the future! It may or may not be the “big news” that Gerald Wolfe hinted at on Facebook last week, but a surprising bit of information dropped today in the form of a SocialCam video from Mark Lowry: Gordon Mote will no longer be with the Gaither Homecoming tour. Lowry quickly points out that Gordon will still be at Gaither events like Family Fest, just not on the regular tour. Mote will still be on the road; presumably, that means he is embarking on a solo venture, in addition to his studio work. You can keep up with him at his website. This marks the second major change in the piano position for the Homecoming Tour, the first being Mote’s hire after the passing of Anthony Burger. Let the speculation begin as to who will fill the piano bench now. Will they go with a relative unknown, or hire someone more established? Two players come to mind, the first being Tim Parton. He has already done quite a bit of work on various Gaither Videos, and if he was willing to take the job, he’d be a fine accompanist and arranger for the tour. If I’m not mistaken, didn’t he also play on Ernie Haase & Signature Sound’s Dream On DVD? In any case, he would be a strong choice if Gaither were to look for someone that is basically a newcomer to the scene. 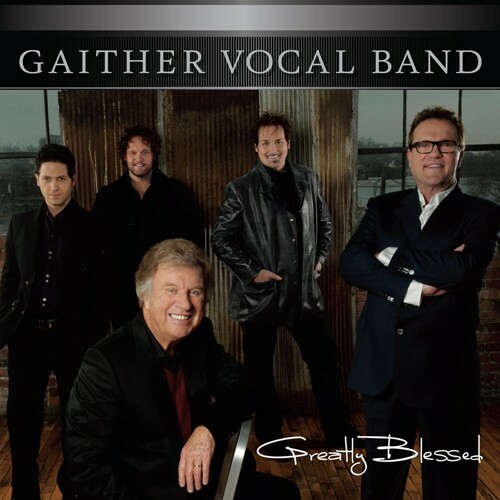 Gaither Vocal Band Reunion At NQC 2011: Should They Do It? Daniel Mount has the scoop today: it appears that Guy Penrod will not be appearing at the Gaither Vocal Band reunion event at NQC. Also not appearing are Terry Franklin & Jonathan Pierce, who were not present at the videotaped Reunions. Penrod’s schedule does not show the date, but Mount says that the wording in the press release (“will include”) may mean that Penrod will be added at last minute. My question is, why is he not on there in the first place? First of all, let me say that this is not a knock to the GVB. I believe an event with the current group alone is worth going to, because this lineup is the best they’ve had in a while, IMHO. But I just don’t see the point of doing a reunion if one of your most recognizable members will not even be attending. Chances are, many current fans of the group will look back to past lineups and point to the ones involving Penrod as those that they remember most fondly. Indeed, Penrod’s lead is heard on many of the group’s hit songs in the past nearly twenty years. To have a reunion event when a member that has been so influential in the musical sound and success of your group will be absent makes very little sense. I suppose that if they do Penrod features (a very likely circumstance, if they are doing many of their 90s-2000s hits), they can just divvy up the solos/lead parts between Michael English, Buddy Mullins, etc., and still make it a good concert. It will be interesting to see this unfold. This project was purchased directly from the artist. This fact has no bearing on the final rating. 1. Better Day – The project starts off with a song that will be familiar to those who have seen the last DVD that the Vocal Band put out, as it was the title track. There are a few subtle differences in vocal arrangement and instrumentation from the live version, which make it more than just the studio version of a song that was previously introduced in a live setting. This track displays the smooth harmonies of the five-man lineup right up front and whets the listener’s appetite for the rest of the project, which makes it a good choice for an opener. 2. When He Blest My Soul – Like the previous track, this song was already featured on a DVD release. There’s added instrumentation here also, most notably the driving brass section that work with the organ and piano to inject energy into the song. The vocal arrangement is outstanding, most notably with David Phelps and Wes Hampton’s parts interchanging throughout the final chorus. While Gold City is the group that comes to my mind when this song is mentioned, the Vocal Band has a version that is just as good. 3. Love Like I’m Leavin’ – This is the third and final track that has already been introduced elsewhere. Nothing much differs between this take and the live one, but the studio version better highlights some of the vocal subtleties in the group harmonies. 4. You Are My All In All – In the first “new” song on the project, David Phelps’ arranging skills are brought to bear on this CCM classic. A cello brings in the start, and Pachelbel’s Canon in D is interwoven throughout the song with an acoustic guitar and violins. Phelps is featured on the verses, and keeps it pretty low-key for the most part before taking it up into classic power-tenor mode for the final chorus. Phelps’ arrangements are something the Vocal Band sorely missed, and this is a perfect example of why. 5. Please Forgive Me – This Crabb Family hit gets an orchestrated treatment and features Michael English. The emotion with which English sings is evident throughout the first verse and carries throughout the song. Some very smooth harmonies are sprinkled into the second verse, and then after the second chorus, an arpeggiated vocal lead-in brings in a powerful final chorus. This is one of the highlights of the disc, showcasing both the group’s power harmony and how much vocal strength English still has. 6. Greatly Blessed, Highly Favored – Right off the bat, you get the sensation you’ve heard this song before. That’s because, technically, you have. This Larry Gatlin and Bill Gaither cooperation takes the melody and rhythm of the Gatlin Brothers hit, “All The Gold In California” and changes the words to convey the message of being a “Greatly blessed, highly favored, imperfect but forgiven child of God.” Wes Hampton takes the solo on the verse, and while the song is a definite re-write of a popular country tune, it thankfully manages to avoid the cheesiness factor and stands on its own two feet. 7. He’s Alive – Fans of Don Francisco or owners of David Phelps’ rare pre-Gaither solo project, Journey To Grace, will recognize this track. David Phelps displays that he can tell a story with a lyric like few other singers can, and while the final chorus is half a step lower than his solo take, the wall of five voices give it extra punch, and his suspended high note is no less powerful. 8. Ain’t Nobody – This song displays one of the most unique sounds on the album. This Michael English feature features some very precise group harmonies to start out, with Bill Gaither singing half a beat in front of the group, making for an interesting sound. I can’t quite put my finger on how to describe this track, but funky would be the best term. It’s bouncy, progressive, and different. 9. Clean – David Phelps displays a smooth, soft delivery on this Bill Gaither & Larry Gatlin creation. Wes Hampton is above Phelps on the tenor line, giving the backup lines by the rest of the group a very full sound that really takes the track to the next level. 10. Muddy Water – It’s back to the funky, gritty sound on this one. English’s vocal riffs at the beginning are reminiscent of those of Guy Penrod on the title track of the group’s 2008 project, Lovin’ Life. Gordon Mote supplies some very nice piano riffs throughout, and Bill Gaither’s standout bass lines on the last lines of the choruses are probably the strongest on the project. 11. That Sounds Like Home To Me – This Goodman’s classic hasn’t been covered all that much, so this was a good choice for a song to update. The group gives it a swing feel and the vocals display a tight sound not unlike what you would find on a Booth Brothers project. Michael English takes the first verse (which is only fitting, since he was in the 1982 Goodmans group that sang the song), and Mark Lowry is featured on the second. David Phelps leads an almost-acapella final chorus before the instruments come back in on the last half and bring the song to a soft close. 12. I Know How To Say Thank You – Mark Lowry gets his first full feature on the album with this song that many may know from when it was sung on a Homecoming video by Sarah DeLane and Marshall Hall. Mark’s tones have become fuller and richer with time, and this is one of his finest performances to date. A powerful final chorus brings all five parts in before softening up again for a quiet finish. 13. He Is Here – Wes Hampton takes a song that Kirk Talley is well-known for writing and singing and puts his own spin on it. Wes was a good tenor when he first joined the Vocal Band, but has really come into his own in his time with the group, and even more so in the five-man lineup, and this track proves it. The soaring melody brings out probably his best solo feature in his tenure with the group. A subdued choir in the background closes out the project with a fadeout. Final thoughts: The past couple of projects that the Gaither Vocal Band had recorded had many people, including this blogger, wondering if Bill Gaither was bringing in the twilight of the Vocal Band and planning to retire. Other than a couple decent songs, there just seemed to be something lacking in the music. A lineup change that led to an unprecedented five members in the Vocal Band and the return of Michael English, David Phelps, and Mark Lowry to the ranks injected new excitement in the group, and the sound was incredible. The first project by the new group, Reunited, was good, but it had people longing for the group to do something truly new. Greatly Blessed is that something new. Every vocalist is at the top of their game here, and the song selection and arrangements hearken back to both the vocal prowess of Phelps’ days with the group and the creativity of both that era and English’s first run. Part of the beauty of having five people is hearing how the parts are structured on each song; Wes Hampton and David Phelps do their fair share of swapping the tenor part, which make for some interesting background harmonies on each song. Bottom line: This Vocal Band’s first real product of new material is a breath of fresh air into their discography, as it gives the group a chance to explore with different styles and use the five vocal parts to create a unique sound. There is simply no reason that Greatly Blessed should not get 5 stars. This is one of the most exciting posts I’ve been able to make in this blog’s existence! As the very first interview done on Swain’s Musings, I got to sit down and chat with Michael English backstage at a Gaither Homecoming concert on February 12, 2010, and we covered topics from his background, to his testimony, to coming back to the Gaither Vocal Band, to future projects, and much more. Hope you enjoy it, and thanks to Michael English for taking the time to do this! Michael English Interview from Aaron Swain on Vimeo. According to a Wes Hampton facebook post, the Gaither Vocal Band has completed vocals on 9 songs for a new CD. The untitled CD should have a total of 14 songs and is due out probably early summer. I am personally looking forward to some new material becuase I thought there would be more on the 2 CD / DVD combo that was just released.